When I first arrived in Portland, I spent countless hours both online and conversing with others trying to find the various Buddhist communities in town. After some years of exploration, I’ve learned every single Buddhist group in Portland (I think! ), and have organized them here on this page. At the time of writing, I’ve personally visited about half of these groups. However, I am not offering any specific endorsements. The intention of this page is merely to state the options. I will try my best to keep my comments factual and data-focused. 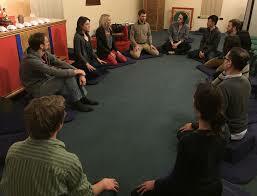 At the same time, it’s really helpful to have a framework on how to evaluate a meditation group. 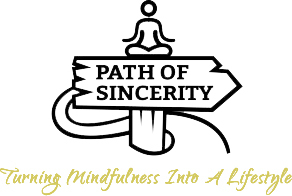 There are some things we all want (like integrity and kindness), but there are also different desires (like prioritizing meditation instruction vs. community, or a strong teacher vs non-hierarchy, etc.). In a companion post, I offer an in-depth guide on how to evaluate & choose a meditation group/community. I highly recommend reading that article, and to consider what you’re looking for in a community. This will greatly help you navigate which ones are “for you” and which ones aren’t. Although, the best test is always just checking a few of them out and getting a feel for what seems to resonate. While every center has its own flavor, some centers have multiple groups throughout the week, led by different instructors, and may have a very different feel. It can be helpful to check out multiple groups at the same center! You don’t need to “join,” “sign up” or go through any “initiation” process to go to any of these groups. You just show up, and are free to never come again, or keep coming back as long as you like! You also don’t need to be a Buddhist. In general, Buddhist communities tend to be very inclusive, and aren’t interested in converting anyone. If there is any center/group I’ve missed, please let me know and I will add it. 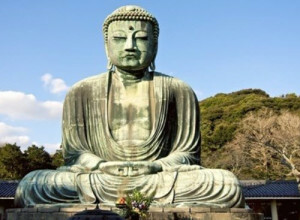 The oldest lineage, Theravada Buddhism is also where the whole modern mindfulness movement came from, and tends to be pragmatic, straightforward and technically precise. In turn, it’s approach to philosophy and meditation is usually the most accessible to Westerners. Logistics: M evenings, and M-R early mornings in NE Portland. Notes: Monday nights alternate between a meditation focused gathering and a book discussion focused gathering. For more info, click the “events” button at the top of this website! Logistics: SU & T morning; SU, M, T & R evening in SE Portland. Notes: One of the two largest Theravada Centers in Portland. They offer retreats, monthly daylongs, deepening study courses, and have several different teachers that lead various classes throughout the week. The Sunday morning gathering attracts a very large audience. Notes: One of the two largest Theravada Centers in Portland. Several times a year they host non-residential weekend retreats with prominent monks in the Thai Forest tradition. On the 3rd Friday of each month a monk from the nearby Hermitage comes to give a talk. They also have a book club and a regularly meeting sutta study group (the classic Buddhist texts). Notes: Was originally a Dharma Punx group, and has since broken off to become independent. Schedule: SU & W evening in North Portland. R Evening NE Portland. SU afternoon & W evening in Hillsboro. T evening in Beaverton. Notes: This group is ONLY available to people who have done a 10 day Vipassana retreat in the style of S.N. Goenka. They occasionally host daylong sits. Note that these groups are peer led. Lineage: General Theravada – especially from the classical Buddhist texts (suttas). 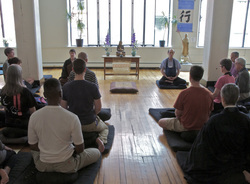 Notes: Has a more integration focus – bringing together meditation with relationship & daily life. Notes: Uses modern dharma teachings to explore integration of meditation with daily life. Notes: This group places special emphasis on reflection and writing about our meditation experiences. Notes: Makes the basics of Insight Meditation accessible. Notes: Formerly a Dharma Punx group, has a social justice orientation, and is peer-led. Schedule: Maybe 10 times a year, they host a dharma talk & sometimes daylong retreats from teachers that just finished leading a retreat at the nearby Cloud Mountain Retreat Center. This is always a special treat, as these are some of the most senior Vipassana teachers in the country. Notes: Led by a Thai monk who has been teaching abroad for over 10 years. Zen Mahayana Buddhism has a very earthy feel, and emphasizes bringing awareness into every moment of your life. Their approach to meditation is usually not as technical & articulate, as they focus on the effortless here-and-now aspect, and also the immediacy of compassion. Schedule: SU & F morning. SU, T, W & R evening. M-F early morning. All in NE Portland. Notes: One of the two biggest Zen Centers in Portland. They hold regular classes, events, day-longs, and are the urban offshoot of the Great Vow Zen Monastery, located in Clatskanine Oregon, which has many live-in monastics, and offers regular residential retreats. Schedule: SU morning, T & W evening in NE Portland. 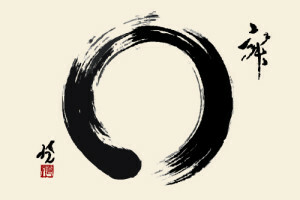 Lineage: Soto Zen – connected with Shasta Abbey. Notes: One of the two biggest Zen Centers in Portland. They also have several ongoing multi-week courses, workshops and retreats. Schedule changes seasonally. Schedule: M, T & R evening in SE Portland. W evening in SW Portland. F morning in NE Portland. Notes: Thich Nhat Hanh has a somewhat eclectic style that is very beginner / non-buddhist friendly. It uses some Theravada language with the simplicity of Zen and a grounding in the joy and heart aspects of the path. These groups are all peer led. Schedule: SU & W evening in SE Portland. M-F early morning “cloud meditation.” SA morning in SE Portland. Notes: This is the only dedicated Rinzai group in Portland. Hosts occasional retreats. Notes: Classic Zen found here. Schedule: W evening, SU & F morning in SE Portland. Notes: Orthodox Zen, sort of feels like a Catholic church service. 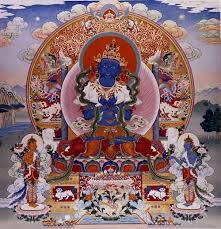 Vajrayana / Tibetan Buddhism has a mystical & devotional feel. It can initially come across as really esoteric and inaccessible (unless you’re drawn to artful spirituality! ), but if you can get past that, it has a great blend of Theravada and Mahayana, offering a richness of precision with an emphasis on the now. Notes: They have a resident monastic, offer periodic retreats, deepening study classes, occasional visits from senior Vajrayana teachers and are affiliated with the Tashi Choling Monastery in Ashland, Oregon. Notes: They offer regular classes, workshops/courses, and host a Young Adults group and a Queer Dharma group. The Shambhala style tends to be the most accessible-to-Westerners of the Tibetan lineages. Notes: They have a resident Lama (someone who completed a traditional 3 year retreat), and offer regular classes, daylongs, retreats, children’s programs, etc. Notes: Affiliated with the international non-profit Diamond Way organization with 600+ groups in this tradition. Notes: They lead various training programs and have many ways to get involved. This is the only Mahayana / non-Vajrayana Tibetan center in Portland. Notes: Has many different teachers and offerings throughout the week, exploring a variety of topics. Notes: Explores the Joy of Living teachings of Yongey Mingyur Rinpoche, a native Tibetan teacher who travels widely and has a large network of affiliated sanghas across the world. Notes: This is an actual college in SE Portland with master’s degrees and semester long courses. Those courses are a bit pricey, though they have two weekly donation-based events (the Sunday morning is usually led by Portland’s only “Rinpoche” – roughly defined, someone recognized as the reincarnation of a great sage). Logistics: SU-SA early AM silent meditation. First & last SA of month – Dance workshop. All in SE Portland. Notes: Their temple is open every morning for silent meditation. The founder is an international Vajrayana Sacred Ritual Dance teacher & performer. He offers donation-based Buddhist dance workshops in the temple, both scheduled and on request. In Asia, many Buddhist monasteries give equal if not more emphasis to community, study, chanting, devotional practice, etc. For the most part, the following temples are more in this style. Some of the Chinese and Japanese temples might be of interest to Westerners for meditation teaching (such as Miao Fa & the Shingon Center), but more generally, unless you are from the listed country and/or speak that language, it’s likely the primary value you’ll find is in having a neat cultural experience or getting to dialogue with some monks (which is actually kinda cool!). Logistics: Multiple gatherings every day across the greater Portland area. Notes: Geared towards beginners and non-buddhists, they present buddhism in a very accessible way. 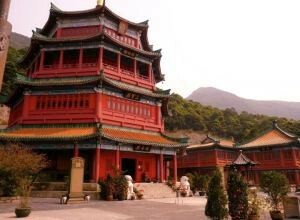 The Great Vow Zen Monastery – offers monthly Zen retreats, plus opportunities for long-term residential practice. Cloud Mountain – offers Vipassana retreats from 2 – 30 days with some of the most senior Vipassana teachers in the country. 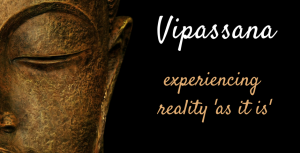 Northwest Vipassana Center – offers donation-based 10 day Vipassana retreats in the style of S.N. Goenka. Repeats from #1 and 2: The Great Vow Zen Monastery, Dorje Ling, Mount Adams Zen Buddhist Temple, Breitenbush & Still Meadow. Other Spiritual Traditions: Ananda Laurelwood, Our Lady of Guadalupe Trappist Abbey, a long list of Catholic Retreat Centers, and probably several others. Places you won’t get fed: Find a cabin in the woods, rent an AirBnB, go backcountry camping or probably several others. If you have any questions about a particular center/group, or would like me to add something to the list, feel free to comment below or email me! Great Job David. Thank you for putting this together. Perhaps we could work together to make an even better resource for people in the Portland area?